Aged Monsoon Malabar coffee is one of the great coffees of the world. It is a unique variety, produced from Arabica beans grown in the Malabar region in Southern India, a mountainous area and rich in lush vegetation. The high altitude, humus rich soil and the fact that it is one of the wettest Indian regions, provide an ideal climate for coffee cultivation. The harvested beans are stored and “aged" in warehouses awaiting the monsoon. When the monsoon arrives, the warehouse doors are opened and the beans are exposed to the wind and rain, whereupon they enlarge dramatically. This process helps give the beans their unique flavour, which is pungent and spicy. The story of the Monsoon Malabar origin and how it became the high grade, speciality coffee it is today goes back to the 16th Century. The raw green beans were transported from India, around the Cape of Good Hope, to Europe on a voyage that could take up to six months. The environment in which the beans were stored, deep within the hulls of wooden sailing ships, along with the humid atmosphere and sea winds that occurred during the monsoon season, caused changes in the character of the beans. They absorbed water, started to swell up and change in texture, and their colour turned from green to a pale yellow. They also became less acidic. This transformation resulted in a great enhancement of their flavour profile, with a practically neutral pH balance and a deep, heavy sweetness. Today, this 'monsooning' process is replicated by the beans being transported to the Malabar Coastal regions of Karnataka and Kerala soon after being harvested. They are washed in spring water and sun dried for a period of about three to four months. Here, they are spread across the floors of open warehouses, where good ventilation ensures they can naturally absorb moisture from the Arabian Sea monsoon winds that prevail between June and September. During this time the beans are periodically raked and turned and spread out again, and care is taken to ensure uniform exposure and to prevent mould. The beans are then sorted and graded for quality before being shipped. The Monsoon Malabar price does reflect the high quality of the beans and the complexity involved in the processing of the beans. But, it is a very popular coffee around the world that has been described as having many characteristics, including: smooth; rich; intense; mellow; bold; pungent; musty; earthy; sweet; spicy; having tobacco or wood notes; and aromas of chocolate, spice and nuts. This isn't surprising when you consider the beans are grown in the same exotic regions where spices such as anise, cardamon, pepper and cinnamon have also been grown. 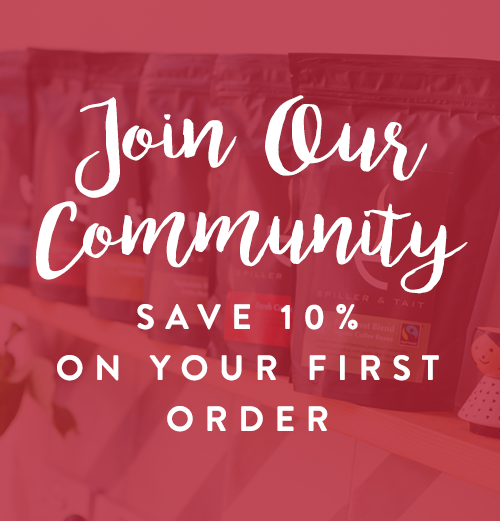 The beans are easily available in the UK from a wide range of craft roasters and on-line retailers, and the Monsoon Malabar roasting profiles do range from light to dark roast. At Spiller & Tait, we start roasting at a low temperature until the first crack, to prevent the surface of these light beans from becoming scorched. A light to medium roast profile can bring out pleasant earthy notes and a slight sweetness, but some people prefer to dark roast the beans, so bringing out spicy flavours and chocolatey tones. We medium roast our Monsoon Malabar to achieve a balance between the sweetness and the spicy flavour notes. Our beans create a heavy bodied and pungent brew, with a wonderful mellow flavour. There is a musty chocolate aroma and it has subtle notes of spices and nuts. We offer our Monsoon Malabar coffee in whole beans or ground form. For ultimate freshness, we always recommend grinding your beans just before brewing. This coffee makes an excellent espresso, particularly because of the volume of crema it produces, and its unique flavours also complement milk based drinks. Our favourite drink with this coffee is a Flat White, although we find 2 shots in a small cup just a bit too much so we take 1 1/2 shots with milk! For those who love our Signature Blend coffee, we’re revealing one of our trade secrets - we use a hint of Monsoon Malabar in this popular blend. Its low acidity means it can help redress the acidity of some of the other beans we use in the blend. We feel the use of these Monsoon Malabar beans in our Signature Blend help us achieve a smooth deep flavour without the bitterness which is often associated with fresh coffee. Our Monsoon Malabar single origin coffee is suitable for coffee bean-to-cup, cafetière, AeroPress, espresso and filter machines, and is now one of a select group of sumptuous single origin coffees that Spiller & Tait has to offer, along with our very own secret recipe blends.